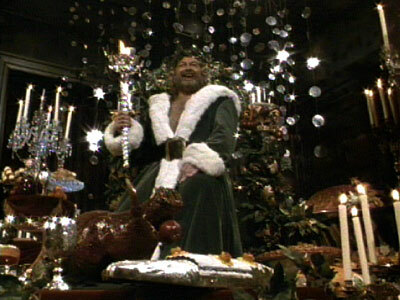 25 Reviews of Christmas #1 - George C. Scott shines in the brilliant 1984 TV adaptation of "A Christmas Carol"
Today, we kick things off with the 1984 TV adaptation of Charles Dickens’ “A Christmas Carol,” starring George C. Scott. Remember to visit this page at any time for a collection of all 25 Reviews of Christmas articles. I love Charles Dickens’ “A Christmas Carol.” Who doesn’t? It is simply one of the finest stories ever told, a heartwarming tale not just of redemption, but of how a man’s past and present experiences inevitably shape his future. Though a staple of the Holiday season, “A Christmas Carol” really isn’t about Christmas; December 25th just provides the setting, apropos for a story about the merits of charity, friendship, and kindness. 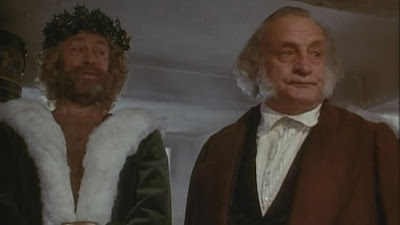 According to Dickens, the qualities Ebenezer Scrooge discovers define the season, and therefore, Scrooge’s journey and Christmas day are so inseparably linked that we find the need to revisit this story at the end of every single year. And how. No story has been filmed more times than “A Christmas Carol,” which has been adapted for film and television no less than forty-five times. We all have our own favorite version of the story, and if one is prone to watching Christmas films during the Holidays, chances are more than a few adaptations will grace your television. During the 25 Reviews of Christmas, I’m going to highlight six “Christmas Carols,” and if this feature returns next December, I’ll review six more. Expect a “Christmas Carol” on every fifth day. I’ve picked my personal favorites for this outing, and chances are you’ve seen most of these – I’m saving the obscure ones for next Christmas. We begin today with one of the absolute best adaptations of the story: Clive Donner’s 1984 TV movie version starring George C. Scott as Ebenezer Scrooge. 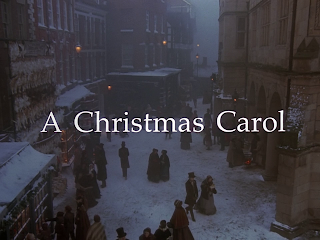 It is a fairly literal adaptation, using much of Dickens’ wonderful dialogue; while I usually find that screenwriters can craft more organic films by changing the novel to better suit the cinematic format – many Dickens films are unbearably talky – there’s something about the writing in “A Christmas Carol” that translates to film incredibly well, and the best adaptations are the ones that allow the actors to bask in the glory of Dickens’ impeccable prose. This version also includes some of the darker material often left out of “Christmas Carol” films, such as the Ghost of Christmas Present demonstrating ‘Ignorance’ and ‘Want’ as starved, malnourished children. This film never shies away from the horrors inherent in this story, and seeing this material dramatized is arguably more impactful that reading it on the page. Yet the film’s number one asset is its casting. 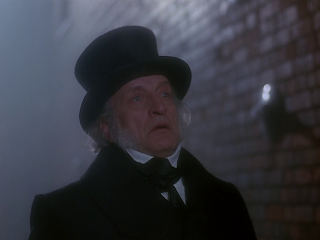 George C. Scott was a stupendous actor, and his performance as Scrooge is one of the best of his career. He simply sinks into the role, inhabiting the character in a way few actors have ever managed. 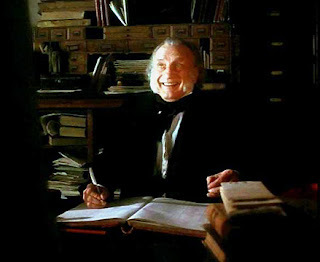 Scott is the Scrooge one imagines when reading the Dickens novel; crass, arrogant, selfish, mean, but not without humanity, and Scott masterfully draws that humanity out over the course of the film, illustrating Scrooge’s transformation gradually and naturally. No line reading, no gesture, no mannerism, no malicious laugh is out of place in Scott’s performance – as far as I’m concerned, this is and shall forever continue to be the definitive portrayal of Ebenezer Scrooge. Backing Scott is the terrific supporting cast: Angela Pleasance and Edward Woodward, as the Ghosts of Christmas Past and Present, deliver their messages with gravitas and pathos; Woodward is particular powerful as one of literature’s most memorable supporting characters. David Warner is as good a Bob Cratchit as Scott is a Scrooge; he makes you care for Bob and his family in a profound, emotional way, and as Fred, Roger Rees nicely contrasts Scott’s bitterness with a sincere and believable cheer. 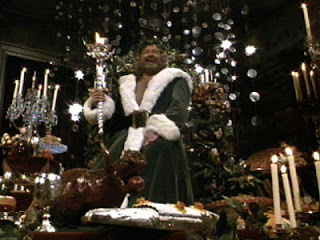 I can’t say which “Christmas Carol” is the best, as I have not watched all forty-five of them. This 1984 TV adaptation is one of the best I have seen, though it is not quite my favorite. That title belongs to another, but there’s nothing quite like watching George C. Scott bring Ebenezer Scrooge to life on the streets of Shrewsbury. This is a film that belongs in any Christmas-lover’s December rotation, and though I haven’t seen it televised in the last few years, it is readily available on DVD and Blu-Ray.